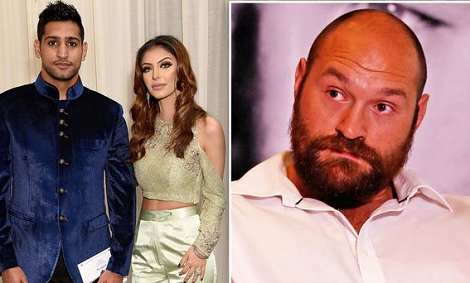 Outspoken Tyson Fury has had his say on Amir Khan’s very public row with Faryal Makhdoom. Khan took to Twitter to announce the end of his marriage to Faryal and claimed she was involved with Anthony Joshua, who denied his claims and wished them well. And heavyweight champion Fury suggested any reports of cheating was "total bull" because of the couple's background. The self-styled King of the Gypsies reasoned "Asians are like travellers" - something which proved controversial as some Twitter users felt it was stereotyping. But people calLed him out to expatiate on that. He is however yet to make another comment.